The KVHF-4010-50 transceiver works in the maritime VHF frequency range from 156MHz to 162MHz and can deliver up to 50W of RF signal into a 50Ω load in transmission mode. The KVHF-4010-50 transceiver is specially designed to be installed into a maritime coast station fulfilling the GMDSS requirements. It fulfill the requirements according to EN 301 929-1 ETSI Standard for stationary sea radio units and guarantee a reliable operation, even in long time stress operation. 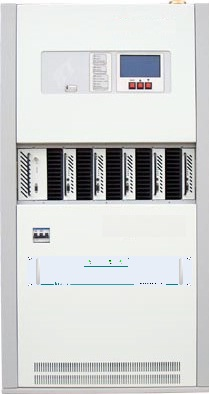 The KVHF-4010-50 transceiver is fully integrated inside a 19" - 3U rack with single phase 100/240VAC - 50/60Hz for an easy installation on site. The KVHF-4010-50 transceiver can be used both for voice (or Phony) and DSC applications (DSC encoders / decoders included, VoIP encoders / decoders included). 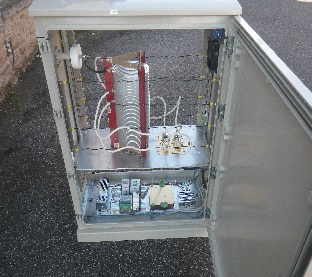 Thanks to its experience in maritime communication systems, KENTA can propose turn-key VHF coast stations integrated into a 19'' rack (with antennas, coaxial cables and connectors, duplexers, filters, UPS etc.). Click here for more information. The KRX-2072 receiver works in the frequency range from 300kHz to 30MHz. The KRX-2072 receiver is specially designed to be installed into a maritime coast station fulfilling the GMDSS requirements. The KRX-2072 receiver is fully integrated inside a 19" - 1U rack with +12VDC as standard power supply. +24VDC or +/-48VDC can be ordered as an option. The KRX-2072 receiver can be used for voice (or Phony), DSC and NAVTEX applications (DSC decoder included, VoIP decoder included and NAVTEX decoder included). The KTX-2012-1000 is specially designed to be installed into the maritime coast station fulfilling the GMDSS requirements. It includes one 19" - 24U cabinet (without option), the power supply, the synthesizer, the amplifier and the harmonic filter for an easy installation on site. The main power supply is single phase from 100/240VAC - 50/60Hz. The KTX-2012-1000 transmitter can be used for Voice, DSC, NAVTEX ( 4 209.5kHz) or other purpose (USB, Digital Modulation etc.). As an option, the KTX-2012-1000 transmitter can control the external KTU-2052-1000 Antenna Tuning Unit (ATU), if the transmitting antenna is not a wide band one. The KTU-2052-1000 Automatic Antenna Tuning Unit (ATU) is a professional coupler, which can operate on a whip or a wire antenna configuration in the RF band 1.65MHz to 30MHz to a 50Ω transmitter (the KTX-2012-1000 for instance). The KTU-2052-1000 is integrated inside an IP65 large plastic resistant to temperature. The KTU-2052-1000 is connected to the transmitter through a coaxial cable, a power cable and a shielded control cable. Maximum RF power input is 1000W PEP. The coupler network configuration is a PI or L type; sensors continually monitor the state of the tuning and relay this information to the processor. KENTA can also provide the antenna on-demand. The KTX-5210-1000 transmitter can be directly modulated by an external modem, or the NAVTEX messages can directly be sent to the synthesizer as digital files. 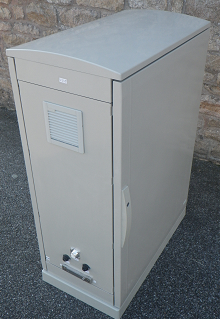 The transmitter is specially designed to be installed into the maritime coast station fulfilling the GMDSS requirements. The main power supply is single phase from 100/240VAC - 50/60Hz. As an option, the KTX-5210-1000 transmitter can control the external KTX-5252-1000 Antenna Matching Box in order to be able to switch between the three GMDSS frequencies (NAVTEX 490kHz and 518kHz; NAVDAT 500kHz). The KTX-5252-1000 product is a professional antenna matching box, which can operate on a 'T' antenna configuration in either 490kHz or 518KHz for NAVTEX operation or 500kHz for NAVDAT operation into a 50Ω transmitter (the KTX-5210-1000 for instance). The KTX-5252-1000 is connected to the transmitter through a coaxial cable and a shielded control cable. Power Supply is 220/230VAC - 50/60Hz.